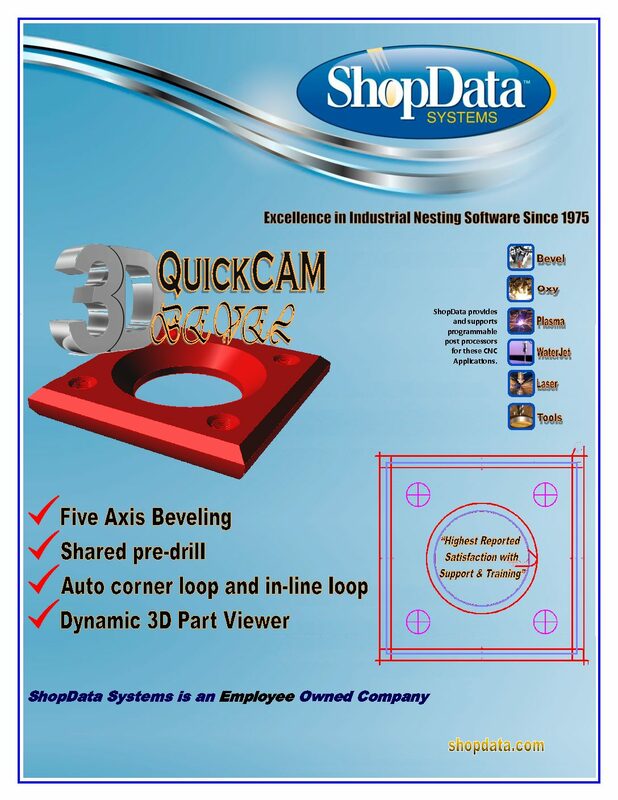 We have the best software package available for making large Industrial Fittings out of thick plate as well as handling your General Fabrication needs. Whether you use plasma, laser, water jet, or oxy-fuel, we can tailor the output of our software to maximize your productivity. 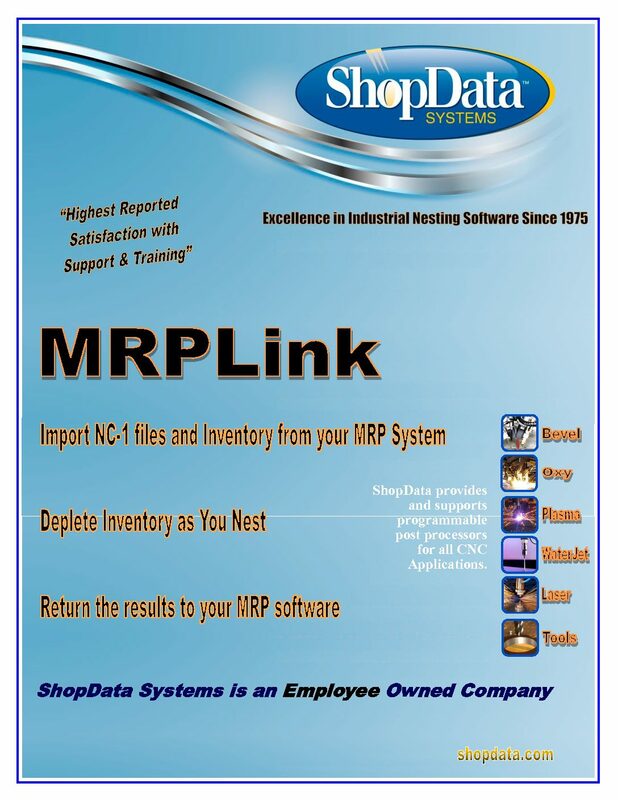 Let Shop Data help you use up your entire plate inventory. 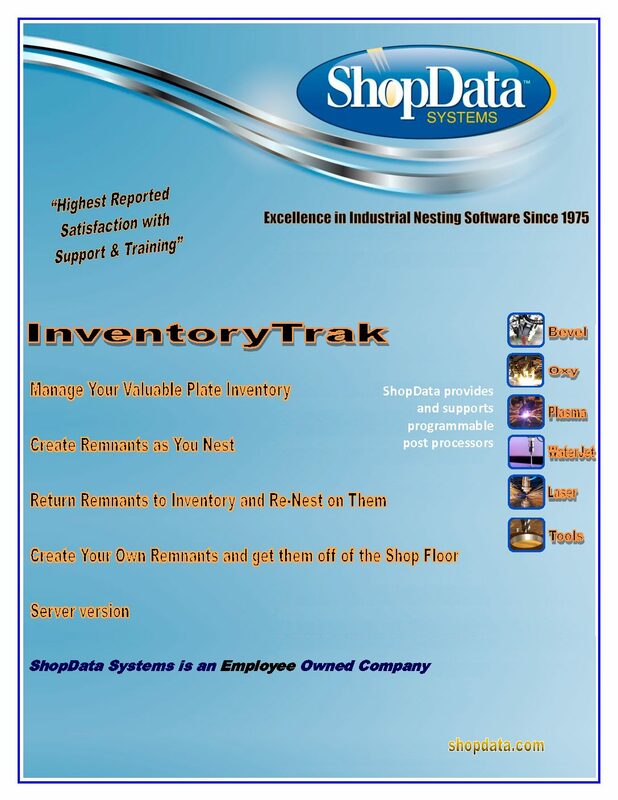 With Shop Data’s InvtenoryTrak™ Module you can manage your plate inventory and deplete your inventory as they are nested upon. Purchasing can enter the inventory and monitor it for replenishing. Also, remnants can be returned to inventory and remnants can be drawn and entered into inventory. Track by location, heat number, vendor, prime code, mill certificate and even assign to a job. EdgeStart™ Nesting is the most advanced nesting engine in the industry for base plates, connecting plates, and other rectangular shapes. With EdgeStart technology you can achieve single digit scrap rates, you can process an entire nested plate with no full kerf pierces, save left over material in usable strips and even eliminate skeletons. 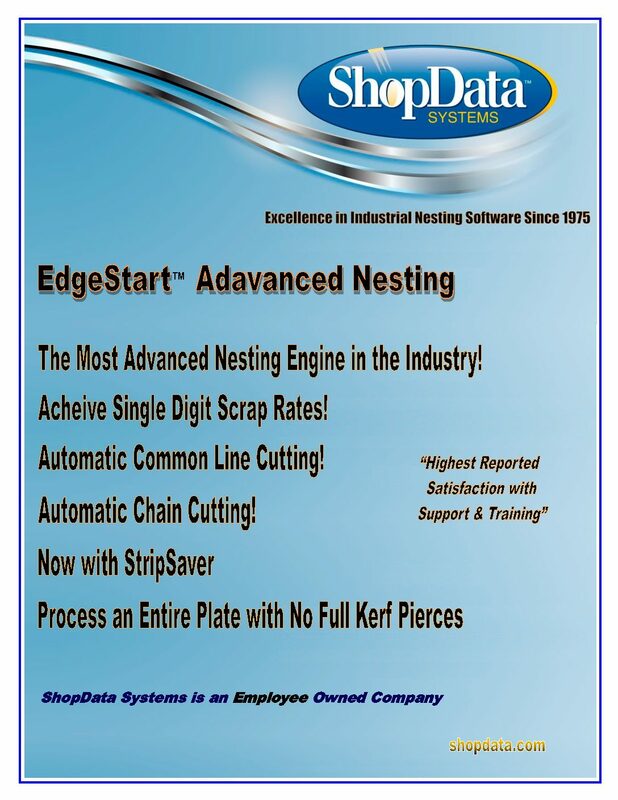 Call today for a demonstration of this advanced nesting engine developed exclusively by Shop Data Systems, Inc.